For the exhibition at i8 Irwin has chosen several works that expand on his use of fluorescent light, a material that Irwin first started working with in the 1970s and returned to prominence in his overture of works in the past 10 years. The works have all been selected with the gallery in mind. The light fixtures, some bulbs turned on, others turned off, can be perceived as pure abstract sculptures, dependent on the viewer’s perception of light, shadow and reflection. The works invite the viewer to engage with a certain sense of sensibility and perception. Irwin has exhibited site-conditioned fluorescent works, which now belong in the permanent collections of the Los Angeles County Museum of Art and the Albright-Knox Art Gallery, Buffalo, NY. Currently a new version of Irwin’s site-conditioned installation Excursus: Homage to the Square3 is on view at Dia Center for the Arts, Beacon, NY. 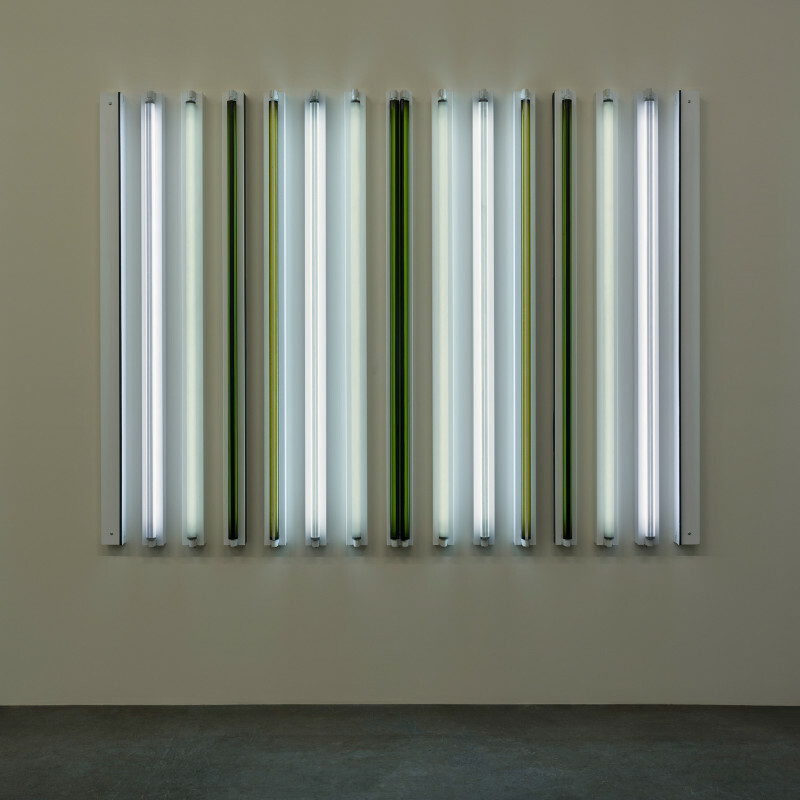 Robert Irwin (b. 1928, Long Beach, California) as an artist, theoretician, and teacher, has over the last 60 years, played a pivotal role in the development of the unique tenants of Modern Art. Through his own personal Husserlian reduction, his work became the precursor for art outside the frame and object. This includes installation art, light and space art, art in public spaces, site specific art, and what he now terms, conditional art which draws the focus to the relationship and role of the sentient being vis-à-vis the cognitive self. The pioneer of the Light and Space movement in Southern California, Irwin’s work draws focus to ambient environmental conditions, making them tangible by heightening the viewer’s awareness in the context of the work. Academy of Arts and Letters.